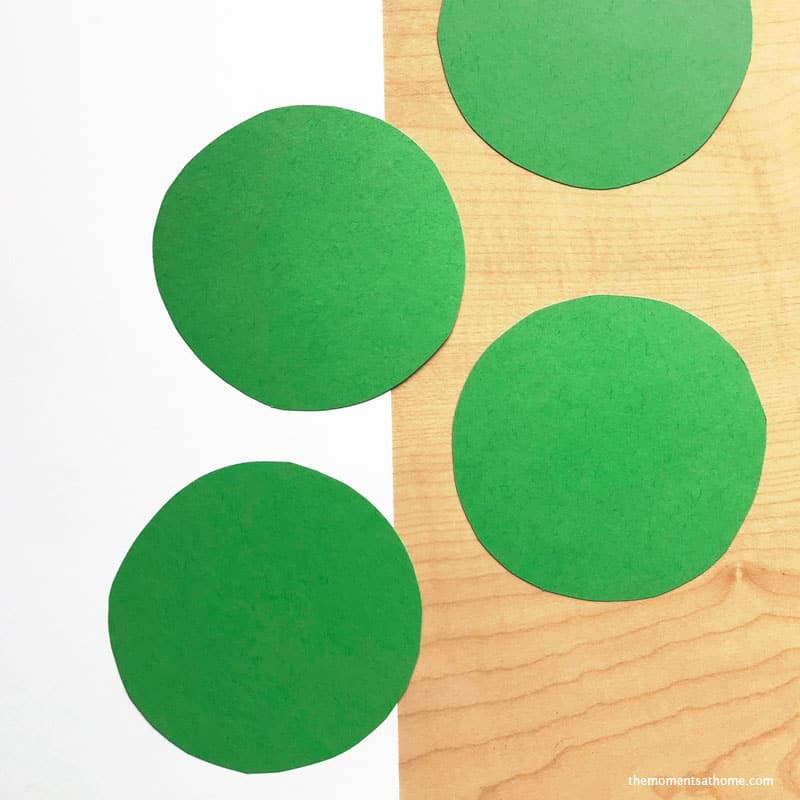 Teach shapes with this fun shamrock craft for kids! I usually have construction paper somewhere in my heap of craft paper supplies so I dug through until I found green construction paper to make a fun St.Patrick’s Day paper craft. Like my popular post, Making a Train from Shapes, this activity teaches shape recognition and also helps develop fine motor skills. Fine motor skills are so important these days because of the use of tablets and phones. Cutting, drawing, coloring, writing, painting, and playing with play dough are all fun ways to work on developing fine motor coordination. 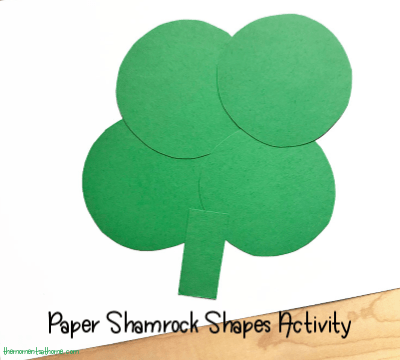 This shamrock craft will get kids cutting, drawing and pasting. Start by using a small plate or upside-down cup to draw circles. Trace around the edges of the cup or plate making three separate circles. 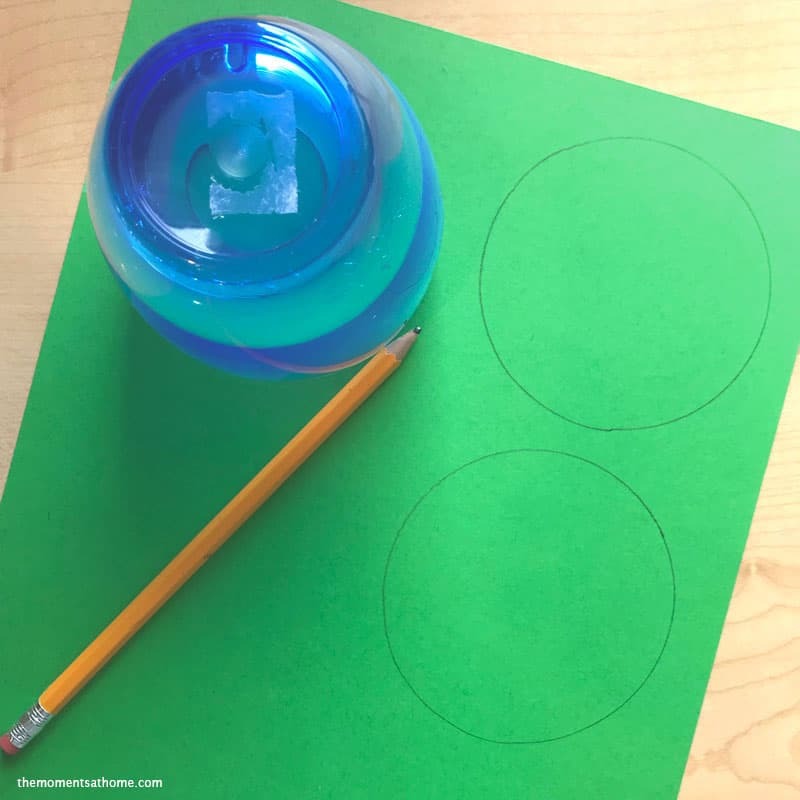 Kids can trace the circles, or you can draw the circles and kids can cut them out. Next, choose a color for the background. 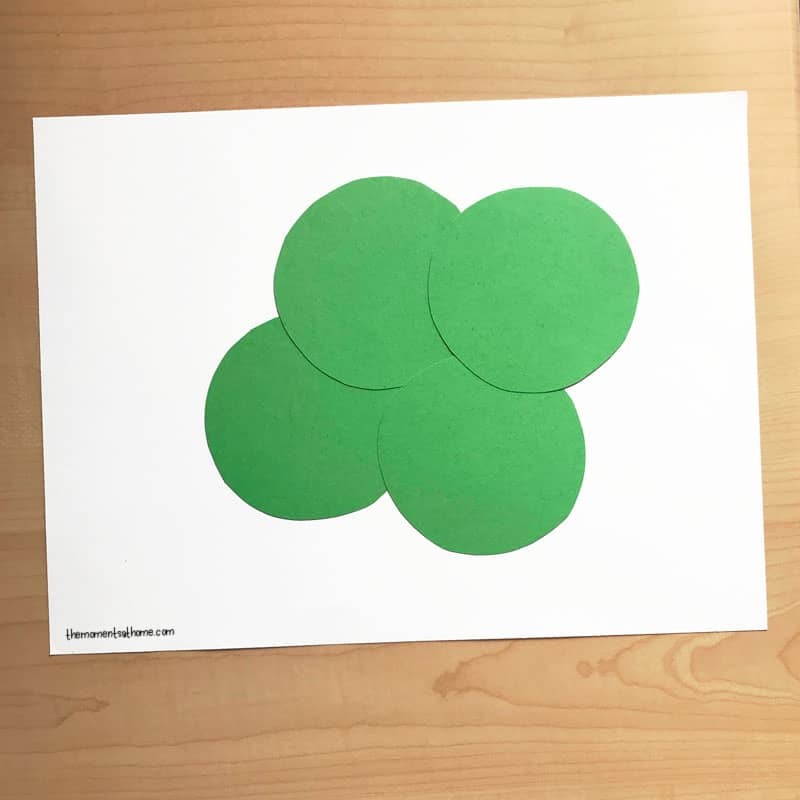 Glue the four circles on the paper slightly overlapping to make the shape of a clover. Cut a small rectangle from the piece of green construction paper to make the stem. Glue the stem to the base of the shamrock. This is a fun activity to do in class too! Start the month of March with a shamrock centers activity!